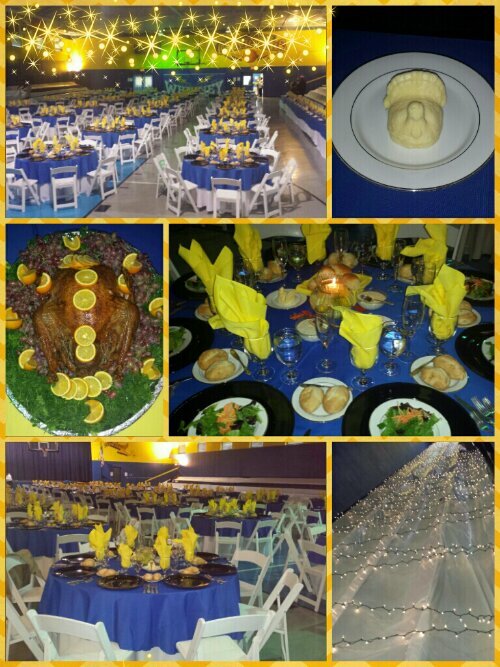 The staff at my job volunteered to create a formal dining experience for our students. * Passing the salt and pepper as a set. * Starting with silverware on the outside. * Waiting for everyone to be served before eating. * Not blowing on food to cool. * Passing food to the left. There was a jazz band and a sparkling juice toast. The students were impressed with out being overwhelmed. I learned a thing or two about being a serving. Food is served on the left and cleared from the right. There is an art to pouring beverages from pitchers with ice. I have a deeper appreciation for food service staff. I am glad our students will know how to conduct themselves in a formal setting and feel privy to finer things. This entry was posted in Education, food and tagged Education, Lifestyle. Bookmark the permalink.